June officially kicks off Pride Month, and it’s time for us to celebrate our community’s hard-won accomplishments. It’s also a time for us to stand in solidarity and continue to fight for equality on the world stage … while wearing Pride apparel. As often happens around this time, labels including high-end designers and mass retailers are also taking the opportunity to launch special collections as a way to amplify LGBTQ awareness. Besides looking fabulous in our new Pride wear, we get to shop for one-of-a-kind sneakers and rainbow printed-apparel for a great cause. For those guys who want to make a fashion and political statement this summer at the world’s top Pride celebrations, we recommend these fabulous pieces of fashion to ensure you stand out no matter the #ResistMarch, Pride festival or VIP Pride event you have on your calendar. 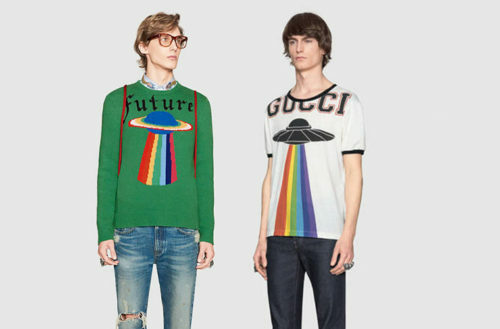 Surprisingly, Gucci has given us several rainbow-adorned pieces of apparel (and we’re completely in love with Gucci’s Pride footwear, too!) from its pre-fall 2017 collection. Since Alessandro Michele took the reigns as Gucci’s creative director in 2015, he has singlehandedly revamped the house with unusual ideas. Like the label’s UFO print shirt and sweater, these fashions radiate with a Pride vibe. Looking to deck yourself out in a rainbow with style? This whimsical wool sweater from Vetements x Comme des Garçons perfectly captures the Pride spirit with its colorful stripes. It’s also delightful to see Rei Kawakubo, the brain behind Comme des Garçon, collaborating with Vetements to create these sweaters’ powerful statements. Besides the rainbow stripe sweater, we’re loving the Leather Pride option from the same collection. This limited edition is exclusive and only available at Dover Street Market. The iconic denim company has a long tradition of supporting the LGBTQ community. This year, it proudly presents a collection that includes T-shirts and accessories inspired by the AIDS Memorial Quilt — and the defiant nature of clothing worn by activists during the 1980s. The Levi’s 505 C Pride short is the perfect example of updating a classic look with a new twist, its slim, straight silhouette reflecting youthful and rebellious style. The shorts also feature details like a zip-fly with rainbow metal shank button and a rainbow tab at the back pocket for a political statement. Target is promoting its “Take Pride” campaign for the second year in a row. Despite a possible profit loss from the boycott against the company’s transgender bathroom policy (something right-wing media has reported but which the retailer actually refutes), Target takes pride in standing with the LGBT community. This year you’ll find colorful products from tees and shorts to an iPhone case adorned with rainbows. We’re particularly partial to the fun unicorn hoodie with colorful faux-hawk detail. Plus, with each Pride item sold, Target will donate 50% of the purchase price to the Gay, Lesbian and Straight Education Network, GLSEN. 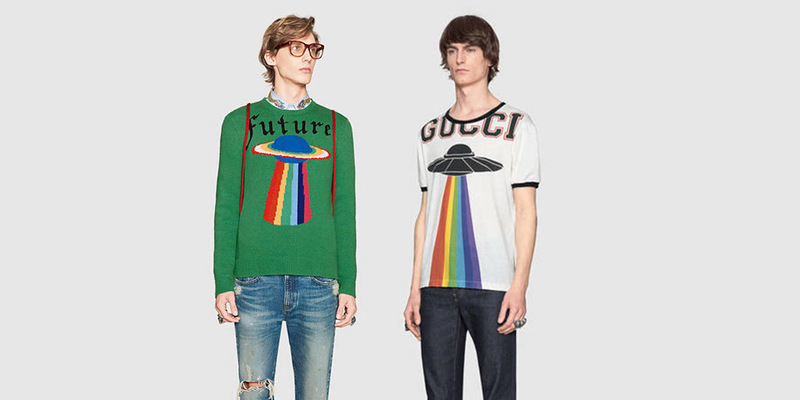 These rainbow-splashed T-shirts from Discriminant feature a fresh reinterpretation of the Pride colors. 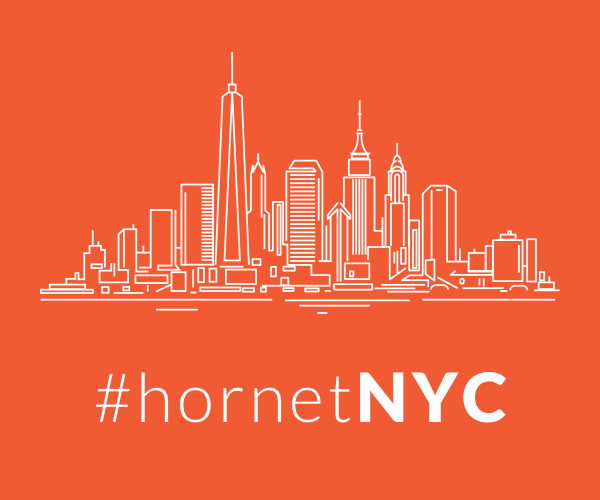 We love to support small business like Discriminant, a New York-based online company that has made its mission to fight for equality for all. This always-innovative apparel and footwear company has been on the forefront supporting our community for years. The company’s “Be True” Pride collection celebrates the passion and pursuit of sports by all athletes. This year’s collection launched on June 1, and one of its pride shoes, the NikeLab Air VaporMax Flyknit BETRUE, sold out within hours of its debut. Nike also included Pride T-shirts in the campaign. This “Equality” black tee, available for both men and women, is the perfect way to convey the “Be True” message. Not to be outdone by its parent company Nike, Converse also has a great Pride collection that appeals to both sneakerheads and fashionistos. Its “Yes to All” Pride campaign launched with a colorful selection of hi- and low-top rainbow sneaks (check all those out here), but the collection also includes statement shirts, like the iconic Chuck Patch with rainbow-print detail. Most importantly, all the net proceeds from “Yes to All” will go to the It Gets Better Project and the Happy Hippie Foundation, two important organizations committed to empowering LGBTQ youth around the world.